Posted on April 3, 2018 at 7:18 pm. “I started running at the age of 30,” Sara says, “after the birth of my second daughter. It was a wonderful stress relief as I adjusted to life as the parent of a special needs child who has a rare chromosome deletion. I ran my first half marathon in 2007, and my first marathon a year later, finishing in 3:31. 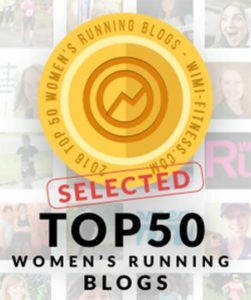 Since then I have completed at least 20 marathons.” As Sara “embarks on my 40s,” she is attempting to lower her marathon PR from 3:04 to sub 3:00. She’s also an ACE certified group fitness instructor and a VDOT O2 certified distance running coach. Amy says she’s always loved fitness. “I grew up playing sports. In high school, I was a three-sport athlete participating in swimming, volleyball and softball.” She was named Female Athlete of the Year of her high school and went on to Michigan State University and graduated with a degree in Recreational Therapy. Amy talks about how during her freshman year of college she became anorexic. “It was a tough transition from high school to college and I felt a loss of control. Once I became healthy and recovered (still an ongoing struggle sometimes), I started running. 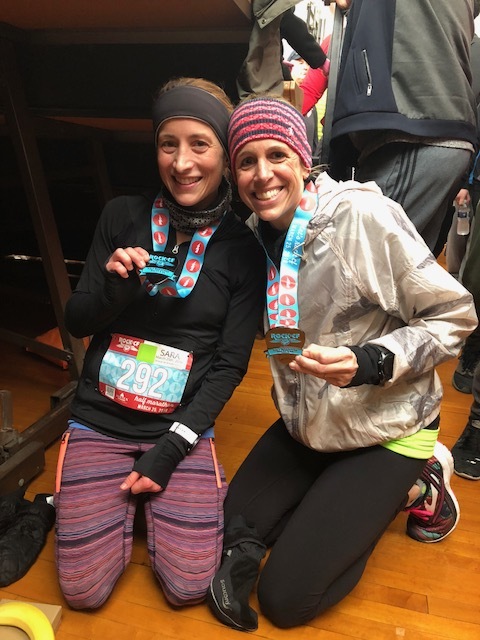 Running helped me so much in my recovery,” she says. She ran her first marathon in 1996 and qualified for Boston on her first try. She has since run 10 marathons, including Boston and holds a PR of 3:35.